Maria is a very nice person. She helped us with everything we asked. The only problem is that she wasn’t there all the time. We had cold water every day and lights for downstairs never worked. Very clean, outside areas immaculate and lovely. The host was super helpful and lovely and couldn't do enough to help us, it has a security guard which was great. The pool and pool area was amazing. A beautiful place to stay with really nice hosts, that are helpful and kind. Great location also! The location is perfect. Right next to the strip (less than 2 minutes walk) but you aren't not disturbed by the noise. The manager is also incredible, so kind and always there if you need anything at all. Very friendly hostess. The pool was amazing. Highly recommended! The owner was very nice and proposed us to have breakfast directly at home, which was very much appreciated. She also gave us a lot of advice about Zakynthos restaurants. The house was perfect for 7 people. San Giorgio is for sure the best value for money for those who would like to stay in Laganas when visiting Zakynthos. Lock in a great price for San Giorgios Maisonettes – rated 9 by recent guests! San Giorgio's Apartments are located in the cosmopolitan resort of Laganas. 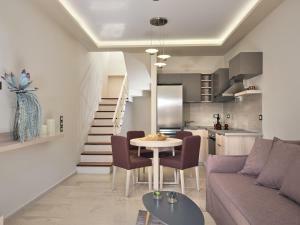 The air-conditioned and split-level apartments offer a private swimming pool with sun beds and umbrellas. Free WiFi access is provided throughout. 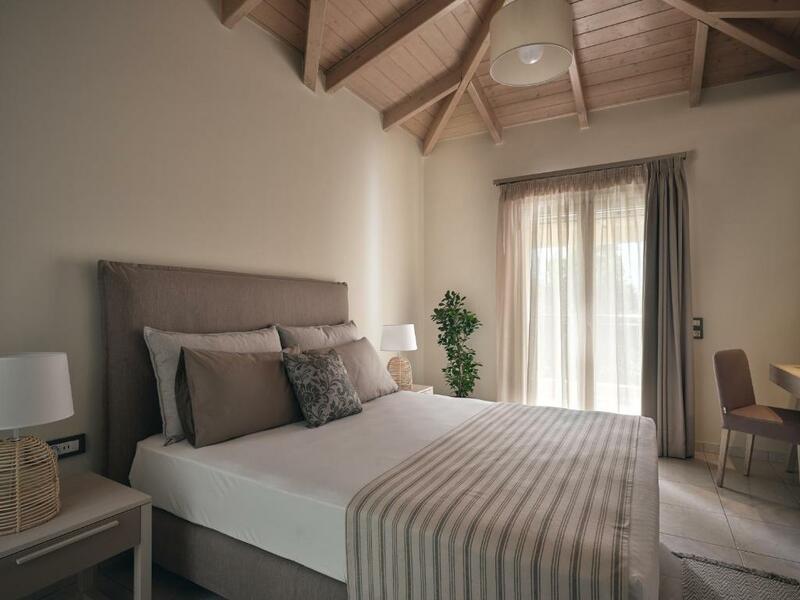 Set among private landscaped gardens, the air-conditioned San Giorgio’s consist of a bedroom on the 1st floor and a fully equipped kitchen along with living room fitted with sofa bed on the ground floor. San Giorgio's Apartments are located only 1,650 feet from the beach of Laganas. The airport and the port are within 5 miles from the complex. This property also has one of the top-rated locations in Laganas! Guests are happier about it compared to other properties in the area. This property is also rated for the best value in Laganas! Guests are getting more for their money when compared to other properties in this city. 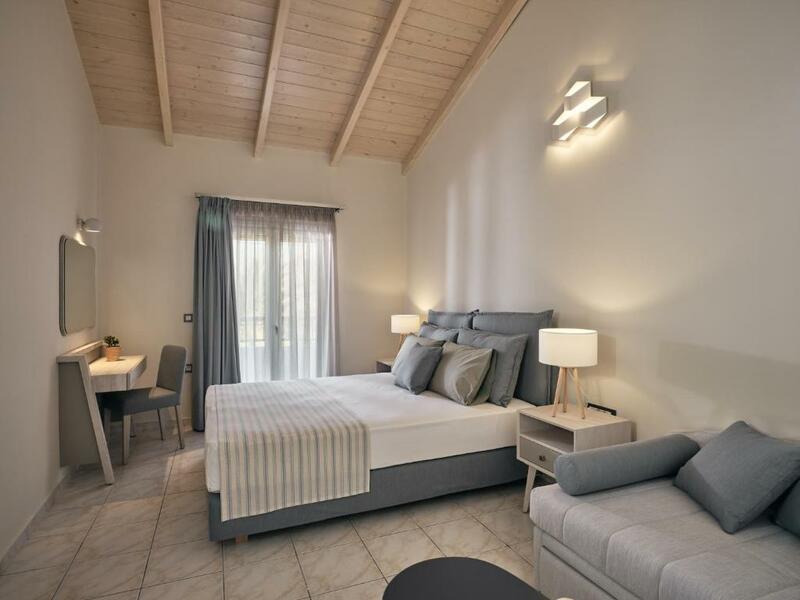 When would you like to stay at San Giorgios Maisonettes? Offers a sofa bed that turns into 2 single beds on the ground floor. Upstairs there is a double bed and 1 sofa bed that turns into 2 single beds. Includes 2 bathrooms, one with shower and the other with bathtub, and furnished balconies overlooking the garden and the swimming pool. A welcome basket with a bottle wine, a juice, cookies, water and chocolates is offered upon arrival. Offers a sofa bed that turns into 2 single beds on the ground floor. Upstairs there is a double bed and 1 sofa bed that turns into 2 single beds. Includes 2 bathrooms, one with shower and the other with bathtub. Offers a sofa bed that turns into 2 single beds on the ground floor. Upstairs there is a double bed. Includes 2 bathrooms, one with shower and the other with bathtub. This apartment features a sofa, dining area and air conditioning. 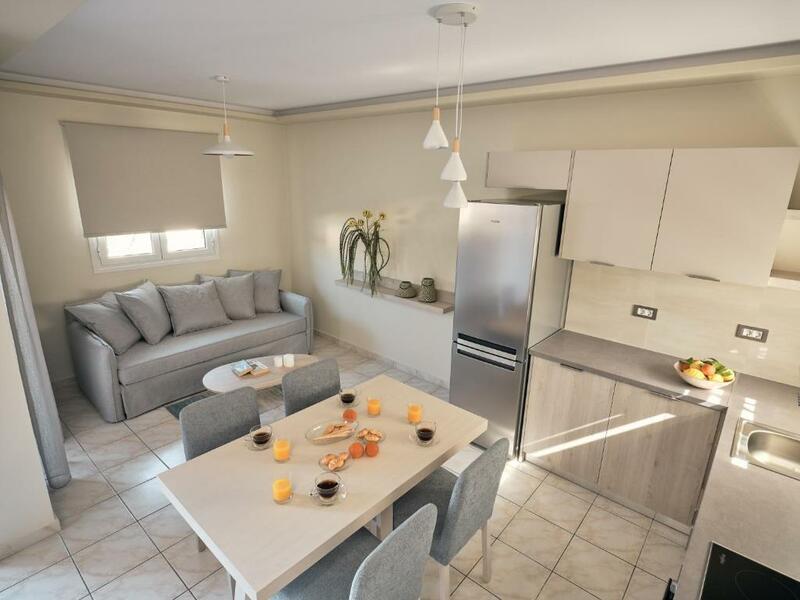 San Giorgios Maisonettes , are a recently renovated complex consisting of only seven two floor villa style apartments located in the vibrant touristic resort of Laganas, close to a wide choice of amenities. In a privately owned, enclosed area with beautiful landscaped gardens, a private swimming pool you can enjoy a quiet and relaxing vacation with the warm hospitality of the friendly family owners. The long sandy beach with the warm and shallow waters is home to the endangered Caretta Caretta turtles as they choose it to lay their eggs. It is located at a small distance from the complex along with the centre of the resort and guests can spend their days swimming, sunbathing or doing water sports and their evenings at one of the many restaurants, tavernas, close by. 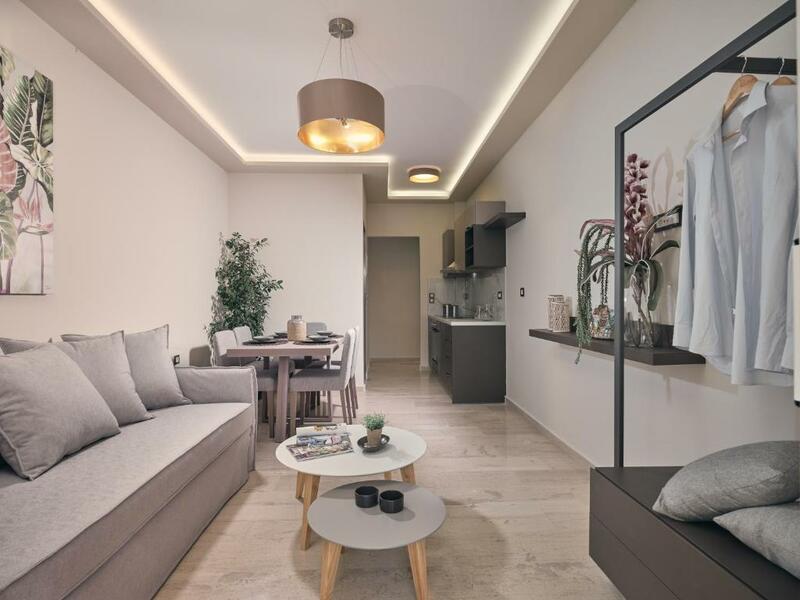 Families with children, couples and groups of friends, this promising set of maisonette apartments guarantee an unforgettable stay in a peaceful retreat away from the hustle and bustle of the main resort. The San Giorgios Maisonettes complex is an excellent choice for travellers who want real comfort and privacy during their holidays. Hello We are Giannis and Tasia the owners of San Giorgios Maisonettes and we hope when you come to our marvelous accommodation you feel our hospitality. We try our guest when they come to our apartments feel that they are at there own home. We always are with our customers so we can satisfy all their needs to have an unforgettable vacation. On foot you can get around, get to know the place, enjoy nature and the idyllic beaches with the turquoise waters.In the center of Laganas, you can find taverns, restaurants, clubs, tourist and various stores- shopping options for all occasions and moods. 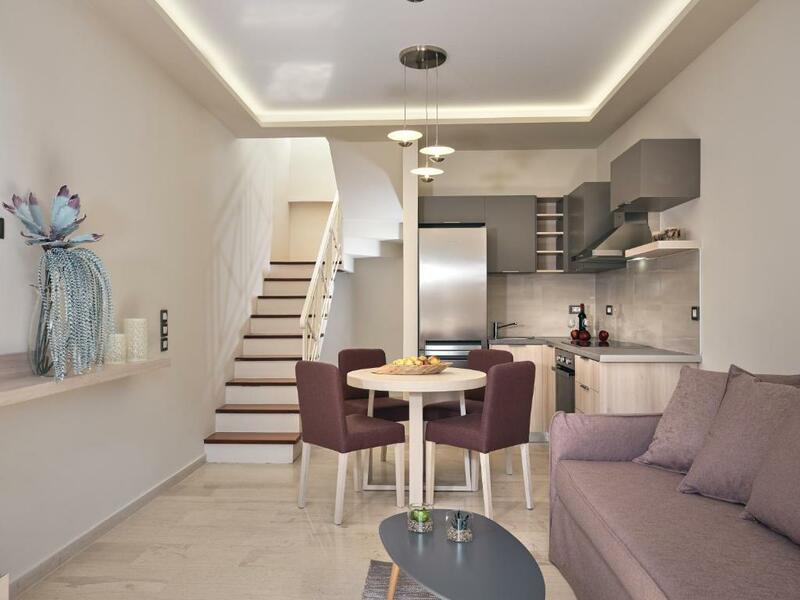 Other options include visiting the town of Zakynthos which is in a close distance, or explore the bay of Laganas and the loggerhead turtle with the local tourist boats. House Rules San Giorgios Maisonettes takes special requests – add in the next step! San Giorgios Maisonettes accepts these cards and reserves the right to temporarily hold an amount prior to arrival. Please note that the front desk operates from 09:00 until 14:00. Guests who will check in later than 14:00 are kindly requested to inform the property in advance of their exact arrival time. Please inform San Giorgios Maisonettes of your expected arrival time in advance. You can use the Special Requests box when booking, or contact the property directly using the contact details in your confirmation. Worst location to stay in Zakynthos. Laganas is not worth to stay if you are not a teenager looking for really bad parties. Streets and beaches are very dirty! Our first apartment the air con stopped working in the middle of the first night and the bed was really squeeky literally if you just moved a bit. We were moved to another apartment after 3 days when space opened up where the air con worked and bed was good but the showers had no curtains so hard to have a good shower. Unfortunately most of the units were rented to groups of younger people who tended to be noisy at night, the security guard tried to keep the noise down but it meant we were woken up every night when they all came home at different times. I think it either needs to be a family focused place or a young party people place, it's hard to combine the two. The air conditioning extra fee was very expensive (14 euros per day). Luckily in September the weather was not very hot, but the cost of your stay can become pricey during July and August. It is not related to the property itself, but Laganas is not the best place to stay in Zakynthos, if you are more than 30 y.o. Security during the night. Holiday means HOLIDAY! excellent service and perfect location!